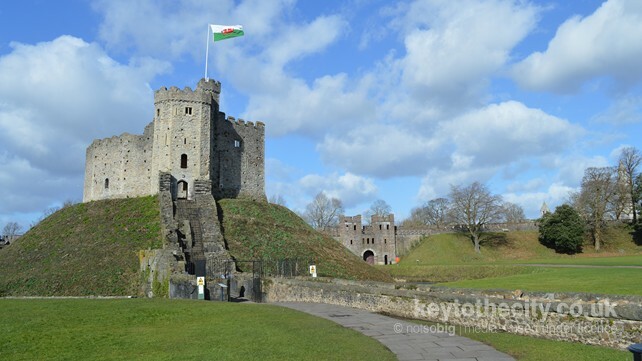 Cardiff Castle is one of Wales' leading tourist attractions. 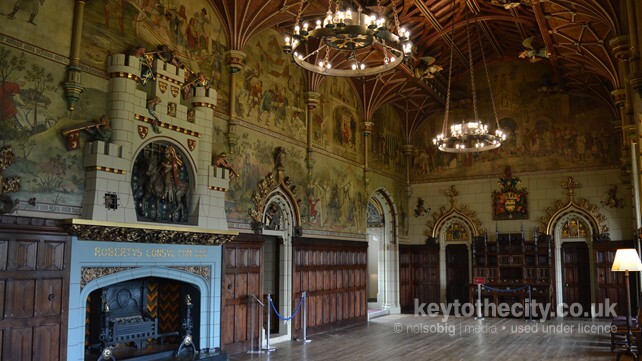 Situated in the very heart of the capital, alongside city centre shopping and the magnificent Bute Park, the Castle's enchanting fairytale towers conceal an elaborate and splendid interior. After the Norman conquest, the Castle�s keep was built, re-using the site of the Roman fort. The site was divided into inner and outer wards, separated by a huge stone wall. The first keep on the motte was erected by Robert Fitzhamon, the Norman Lord of Gloucester, and along with many of these early defences was probably built of wood. More medieval fortifications and dwellings followed. The Castle passed through the hands of many noble families until in 1766, it passed by marriage to the Bute family. The 2nd Marquess of Bute was responsible for turning Cardiff into the world�s greatest coal exporting port. The Castle and Bute fortune passed to his son John, the 3rd Marquess of Bute, who by the 1860s was reputed to be the richest man in the world. The 3rd Marquess died when he was only 53 in 1900. 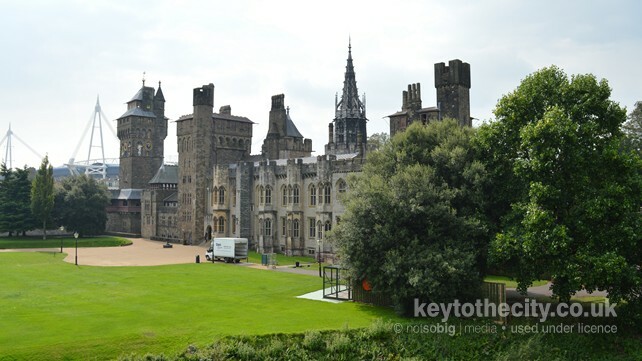 He had transformed the Castle into a Welsh Victorian Camelot � now regarded as being of international significance. Despite huge death duties on the estate, the 4th Marquess completed many of his father�s restoration projects including the reconstruction of the Roman wall. The Bute family continued to stay at the Castle throughout the 1920s and 1930s, although they had sold off many of their business interests in South Wales. Following the death of the 4th Marquess of Bute, the family decided to give the Castle and much of its parkland, known as Bute Park, to the city of Cardiff. 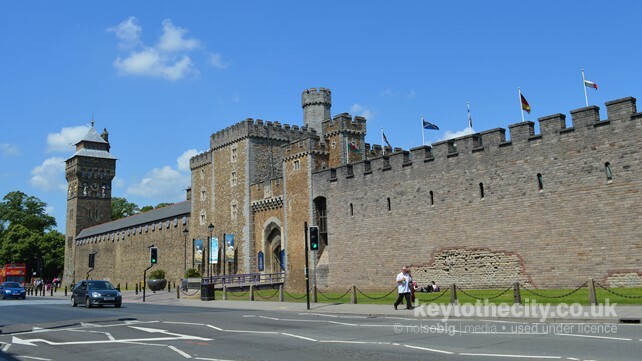 For 25 years, the Castle was home to the National College of Music and Drama and since 1974 has become one of Wales� most popular visitor attractions. Popular with all ages, though the historic apartments will appeal more to adults than children. March to October: 9am-6pm daily; November to February: 9am-5pm daily (please check the website for any late changes). Adult �13, Child �9.25, Senior �11.30, Family �38. Guided House Tours cost extra. Located to the north of the city centre with the main entrance at the junction of Castle Street, Duke Street and High Street.